It doesn’t matter if you win the Super Bowl or lose every game. When it comes time for the NFL Draft, every team will try to do the same thing—find the next superstar. It will not necessarily have to be someone in the first round or even someone drafted at all. He just needs to be a talented player put in the right situation and given a chance to succeed. That’s all. A piece of cake, right? Finding such players is easier said than done. Teams spend countless hours evaluating players in hopes of identifying the future stars. It’s not just about how good they are, but how well they fit into a team’s system. Even then, if he doesn’t play right away, whether he’s a star will be a mystery until he does. If everything happens to work out for a player and team, greatness can be achieved relatively quickly. Under the right circumstances, an award-worthy season is possible; maybe even Pro Bowl-worthy. Ezekiel Elliot is the perfect example. If the Cowboys had been more pass-oriented or had a weaker offensive line, there is no way he would have run for 1,631 yards and 15 touchdowns his rookie season. But the Cowboys were more than happy to have him run early and often, and his offensive line was one of the best. As the Draft draws near, it is not hard to wonder who has that potential this year. Of this year’s crop of rookies, who is more likely to make the Pro Bowl? Since 1999, there have been 67. Last season, four rookies made the cut. Who could do it this season? Who will have the right combination of talent and opportunity? A premium hasn’t been placed on the services of running backs in recent years. Most teams are employing some sort of committee approach now. But if a player has a broad enough skill set, he’ll get the opportunity to play early and often. Barkley is that kind of back. He’s fast, elusive, and almost as much of a receiving threat out of the backfield as he is a running threat. The key for him will be who takes him. If it’s the Giants or the Colts, he’ll be in good shape to have a big rookie year. He’ll definitely be the primary running back for the season. Defenses will not be able to focus on stopping him due to fear of the passing game (assuming Andrew Luck returns). He’ll get the opportunity to shine. If he lives up to his reputation, he may not just become a Pro Bowler. 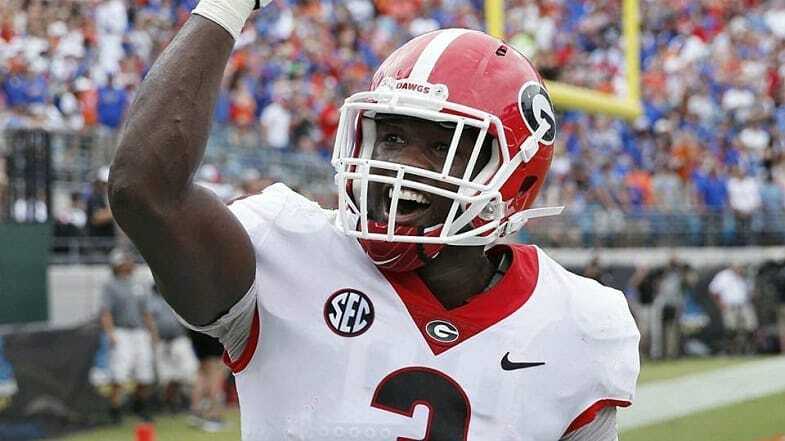 Offensive Rookie of the Year? Perhaps. The star of the Alabama secondary is expected to be one of the first non-quarterback selections of the draft—and with good reason. Few defensive backs can do it all at the second and third level of the defense quite like he can. He’s fast, athletic, can cover anyone, and is effective on blitzes. He’ll play for whoever drafts him, but the best opportunity may be with the San Francisco 49ers. If Jimmy Garappolo picks up where he left off last season, there will not be as much asked of the 49ers defense as, say, the Miami Dolphins defense. That means less pressure and fewer eyes on the defense early on—while he’s adjusting to the NFL game. He is a little on the small side for the NFL at 6’1 and 236 lbs. but he more than makes up for his lack of size with speed, explosiveness, and an uncanny ability to make plays. His coaches have raved about his instincts, football intelligence, and his leadership skills. Whoever takes him will be getting an impact player for sure. 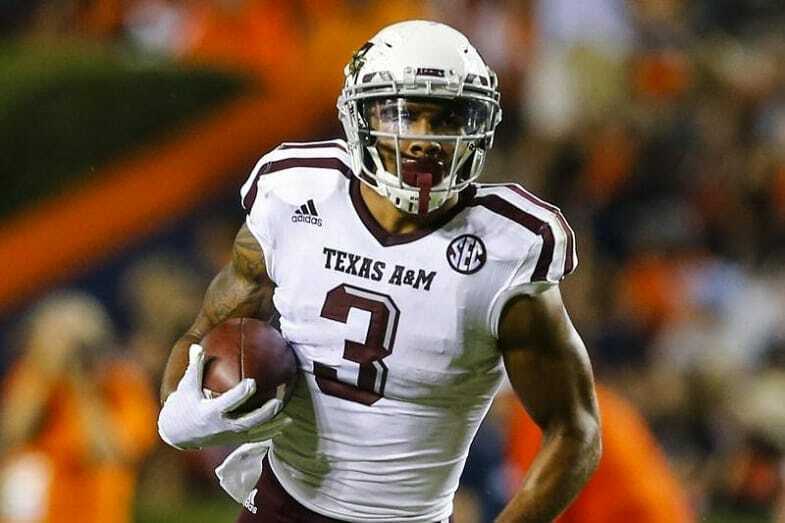 According to the mock drafts, he’s headed to either the Raiders or the Redskins. With the Raiders he’ll have the benefit of Khalil Mack and Bruce Irvin tying up blockers and giving him room to make plays. If Jon Gruden can get the offense together, the Raiders will be on everyone’s radar as will Smith when the time comes to vote on Pro Bowlers. In Washington, he may not get the opportunity necessary to earn a Pro Bowl nod. He would be a boost to their current lineup. But if Alex Smith struggles with the Washington offense, the Redskins defense may be on the field too much for anyone to look good. No one cares about an offensive lineman until he messes up or until their team really, really needs one. With his combination of size (6’5 and 329 lbs.) and athleticism, everyone will care about him. He’s technically sound, incredibly powerful, and very aggressive. Any team in desperate need of an offensive lineman would be crazy to pass on him. Mock drafts have him going to either the Chicago Bears or New York Giants. He could certainly make an impact opening holes for Jordan Howard and Tarik Cohen along with helping create a pocket for Mitchell Trubisky to work inside. However, with the Giants he could get more attention lining up next to Nate Solder, or less credit because he lines up next to Solder. He is not the tallest guy at 5’10 but his frame is sturdy and allows him to absorb hits other receivers would struggle with. He’s not so fast that you’ll want to target him downfield on a regular basis, but he is fast enough to get open on intermediate routes and then do something after making the catch. As a receiver, he may not see enough time to have a Pro Bowl-type season. But if the team that drafts him decided to make use of his return skills, that could do the trick for him. He returned seven kicks for touchdowns in three years for the Aggies (six punts; one kickoff). Many mock drafts have him going to the Indianapolis Colts in the second round. That could be the perfect spot for him, assuming Andrew Luck returns. T.Y. Hilton is more of a downfield guy. With Donte Moncrief gone, they need someone good at working the short to intermediate routes. Someone will probably draft him, but it wouldn’t be shocking if he were still on the board in the later rounds. His size (6’1 and 223 lbs.) will make some hesitate to line him up at linebacker. He may need to convert to safety. Then again, Roquan Smith isn’t much bigger. But with his speed, athleticism, and play-making ability, he could be an absolute star on special teams for whoever takes him. Factor in his popularity, which will drive votes, and it isn’t hard to see him make the Pro Bowl next year (as a special teams player). 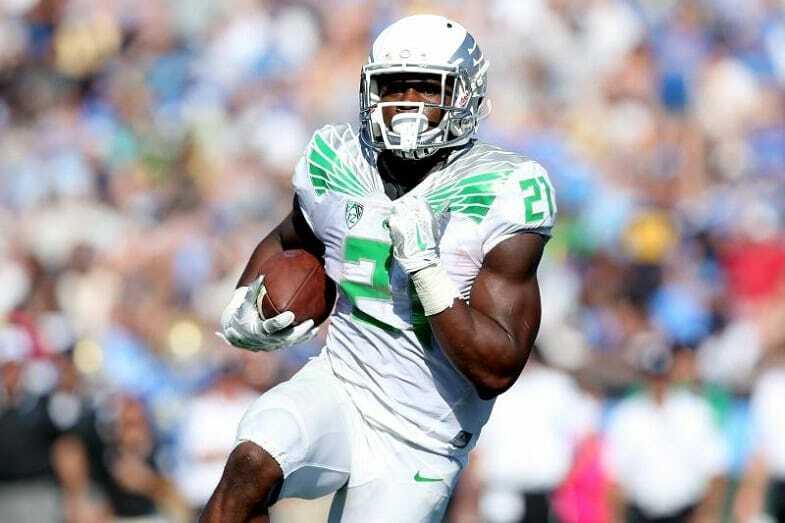 The leading rusher in Oregon’s history, Freeman is not the fastest guy in the draft. But his combination of speed and size make him a tough guy to bring down– and a very effective runner when healthy. But an injury slowed him down a lot in his final season with the Ducks. When he did play, he didn’t look like the same guy. As a result, he went from being an early round selection to the middle rounds. Some mock drafts have him going to Denver in the fourth. They are in need of quality running back that can take pressure off the passing game—Freeman could definitely be that guy. If he can find his form again, his ceiling with the Broncos could be very high. Bradly Chubb? Calvin Ridley? Baker Mayfield? Sam Darnold? Josh Allen or any of the other quarterbacks? There are a number of talented players in the draft this year. If half of them live up to their potential, the Pro Bowl could be a showcase of rookie talent next season. But half of the guys drafted will not pan out. A good percentage will be average at best, a number of them will be very good, and a few of them great. Some will just need time to develop (i.e. any of the quarterbacks). Others may not have enough talent around them making it easy for opposing teams to game plan for them. But that doesn’t mean they are not going to be Pro Bowlers someday. It just may not be next year.